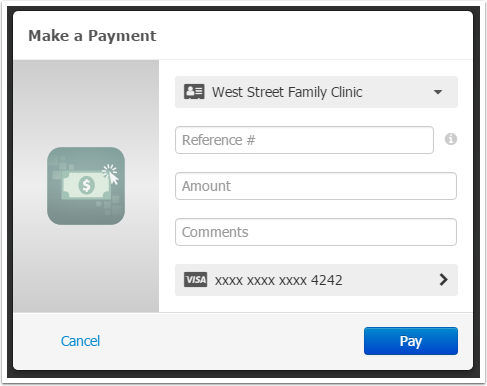 Your patients can make a payment by logging into their myHEALTHware account and clicking on the Payments tab. 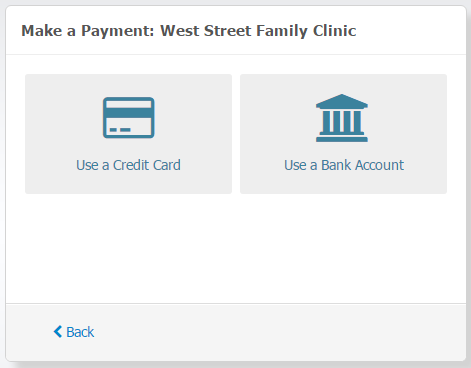 For instructions on making a payment while logged in to myHEALTHware, please see: Make a Payment to the Clinic in myHEALTHware. 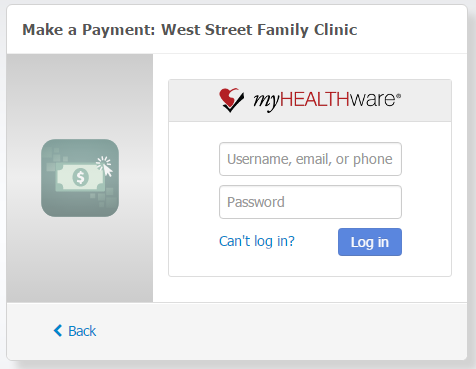 In addition, if the patient doesn't have a myHEALTHware account, they can make a payment as a Guest by going to the link listed in the above screenshot (ex: https://myhealthware.com/org/clinicname/pay. 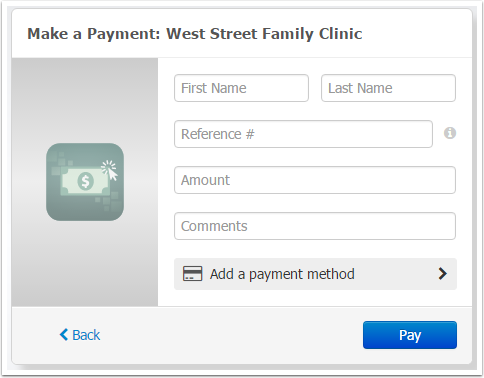 Direct your patients to your custom myHEALTHware link to make an online payment. This link was created when you installed the ePay application in myHEALTHware. The link wil appear similar to the following: https://myhealthware.com/org/clinicnamehere/pay. The first option for your patients is to Login to myHEALTHware to make a payment. After clicking Login to Pay, the patient will be directed to enter their myHEALTHware Username and Password. The first option for your patients is to Pay as Guest. 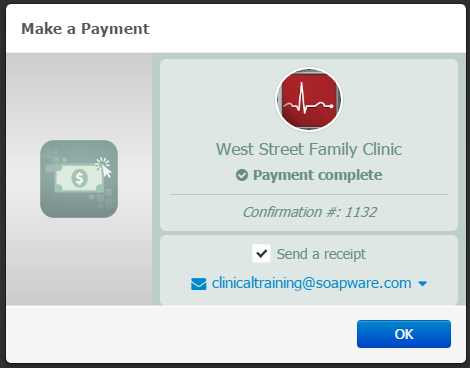 This allows them to make a payment to your clinic without requiring them to log in to myHEALTHware. 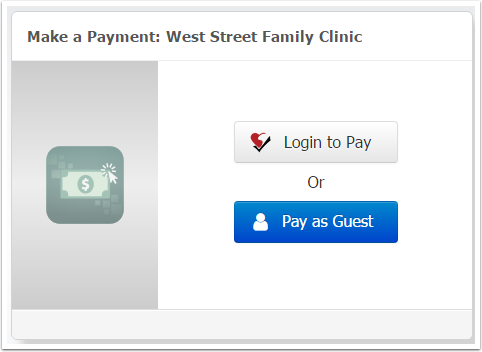 Clicking on Pay as Guest will take the patient to the Make a Payment screen. 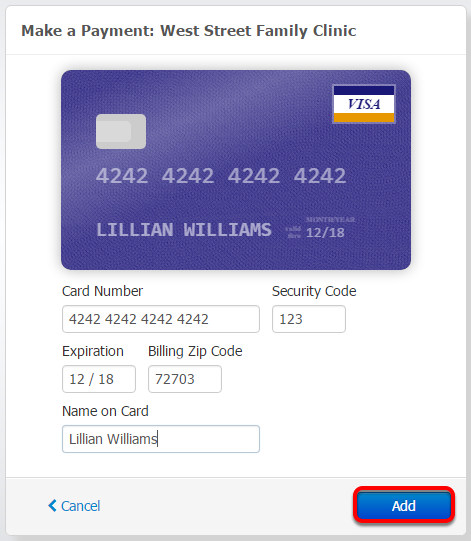 The patient can enter a payment method of either Credit Card or Bank Account. *Note: If the patient is making a payment without logging in to myHEALTHware (ie: a Guest Payment), they will not have the option to manually verify their bank account informaiton. 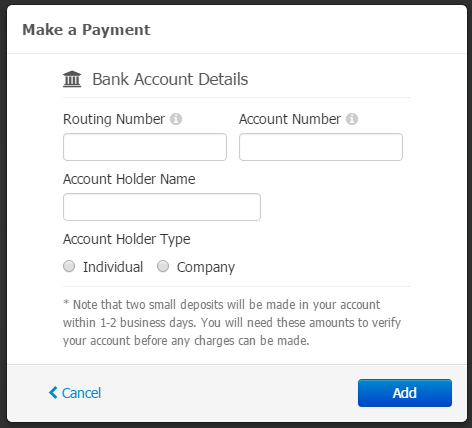 They must use either the Credit Card method or sign in to an account with one of the available banks listed above. 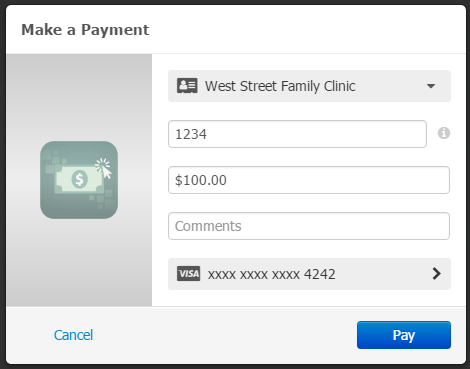 A patient can view a history of their past payments by clicking the Payments tab. The view of payments can be filtered to view All, Archived, or Unread payments. 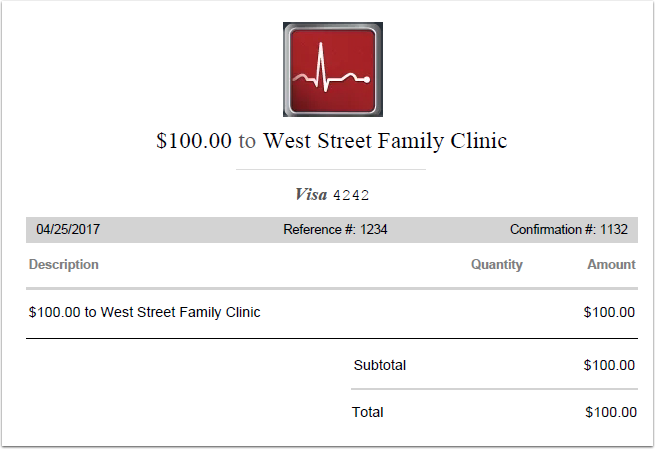 In addition, the patients can filter their view by payment date.